Does your RV require maintenance? Or do you need body work? While no appointments are needed for body shop estimates, if you're bringing in an RV for an estimate, appointments are preferred. Contact us if you have further questions about our services or to schedule that appointment today! 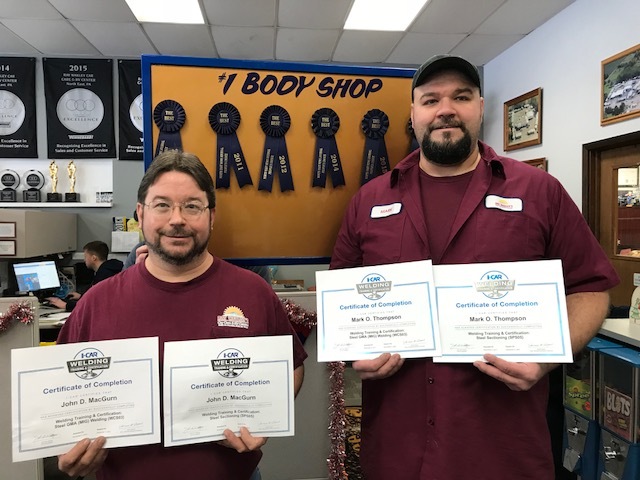 Your RV is a home away from home, so when it requires cleaning, maintenance, and repairs, schedule an appointment with the certified technicians at Ray Wakley’s service center in North East, PA. We offer specialized services to get your toy hauler, travel camper, or motorhome back on the road for another adventure. Fill out the information below and a representative from our service department will contact you as soon as possible during business hours.